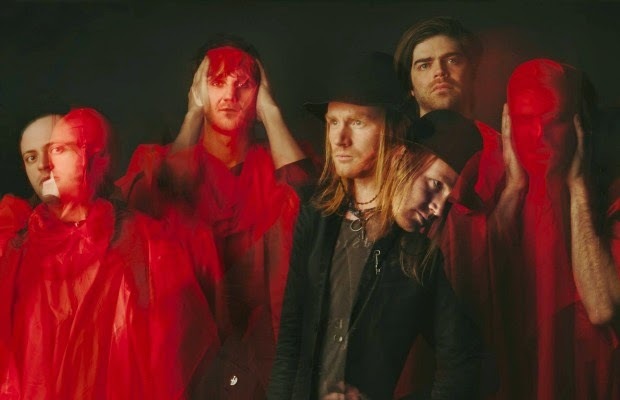 Following a hiatus which spanned several years, The Faint have released their sixth studio album, Doom Abuse, via SQE Music. Their first single, "Evil Voices" recently premiered on Noisey and it picks up right where the group left off with 2008's impeccable album, Fasciination. "Meat tubes, violent princesses, futuristic gods and neon rubber souls being excavated from skulls and wrapped around a cogs, it was a no brainer. We were stoked to work with someone who could actually make things like this happen"
Check out the video below, and stay tuned for much more coverage of The Faint in the very near future, who are launching a US tour this week (dates found below the vid).